Sri Lanka (MNN) — Sri Lanka is known as the “Pearl of the Indian Ocean”. The moniker describes a beautiful picture, but the struggles reveal something darker. It’s considered the third most religious country in the world. Although the constitution guarantees religious freedom while favoring Buddhism, minority Protestants have experienced violent persecution as well as discrimination. Although it is legal to convert to Christianity in Sri Lanka, Christians often face opposition from politically active Buddhist monks. The Voice of the Martyrs notes the persecution of Christians has escalated in recent years with the rise of militant Buddhist nationalist groups in Sri Lanka. In fact, more than 250 churches have been destroyed or damaged in sectarian violence. Asian Access has a presence in Sri Lanka. Unfortunately, they are not immune to the trouble. Adrian DeVisser is the national director for Asian Access/Sri Lanka and A2 vice president for Partnership Development. He describes what happened to a church plant on January 5th. Police were slow to respond to calls for help, and as of Friday morning, no arrests had been made. Will you pray for the safety of the family and also that God will use this situation for His glory? Persecution never destroyed a church and never will, adds DeVisser. Suffering isn’t new, and won’t be going away anytime soon. 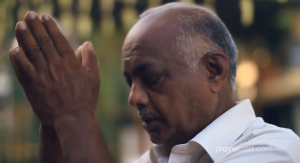 Ask the Lord to work in the hearts of those targeting Sri Lankan believers so they will repent and come to faith in Him. Pray that Christians in Sri Lanka will continue to share the news of God’s grace.